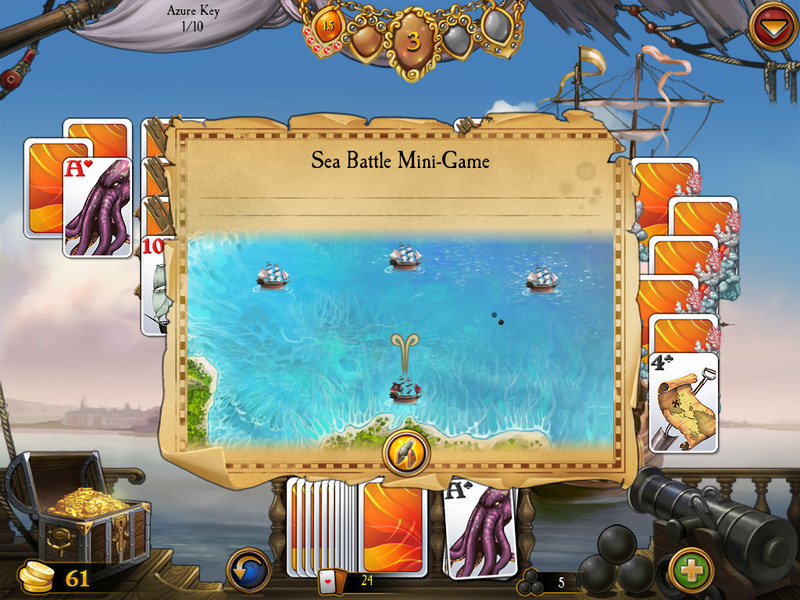 The high seas are rife with the makings of legends: pirates, storms, lost treasure and terrifying monsters abound. After a glorious career in the King's navy, you were looking forward to a relaxing retirement, and marriage to the beautiful Elaine... until she went missing, and you were blamed. Now, your only hope to reclaim this happy life is to return to the sea once more, to find Elaine and bring her home. 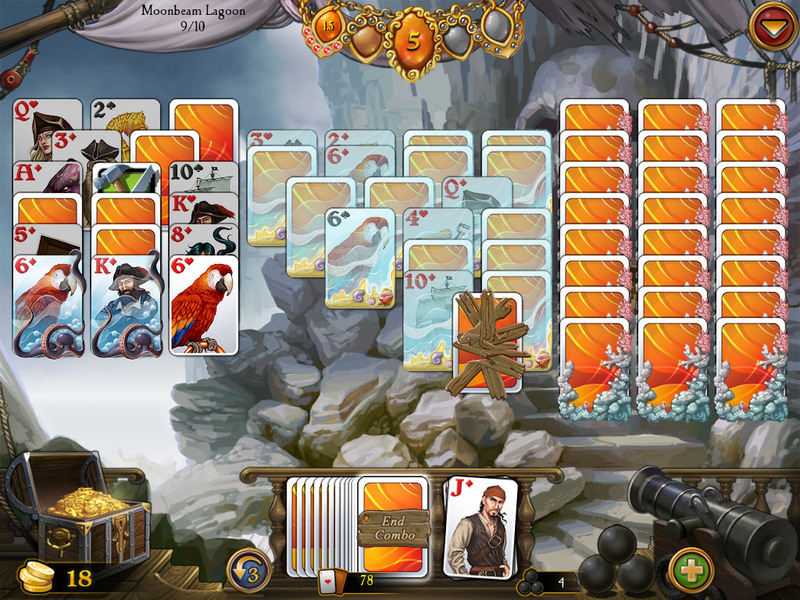 Take command of The Falcon and explore over 300 levels, firing cannonballs and matching cards from your choice of beautiful decks as you plunge yourself into the adventure. 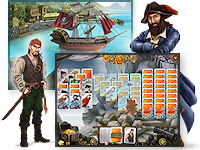 Put together legendary combos to rack up as much gold as you can, then spend it on over 20 unique upgrades for your ship and your island hideaway. 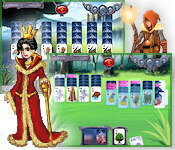 Along the way, you'll also encounter exciting mini-games to test your luck and skill, and earn awards for your derring-do. 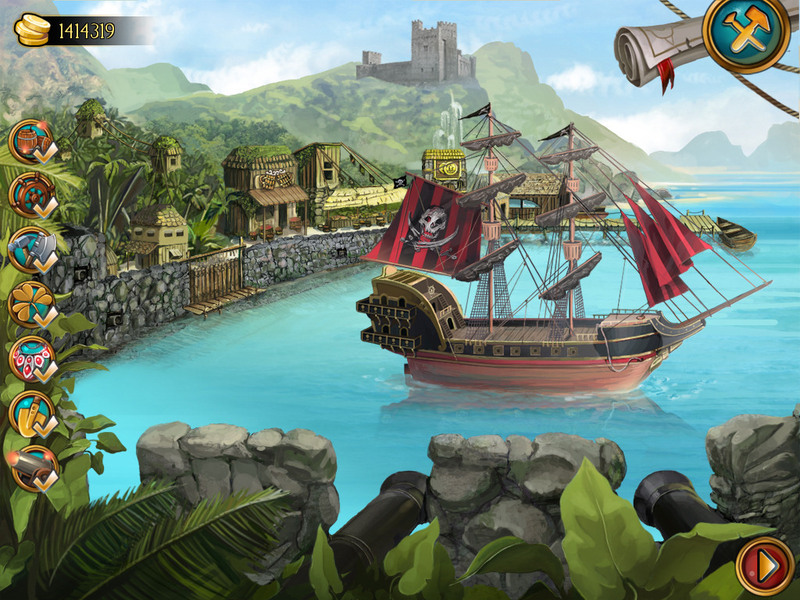 There's never a dull moment when you're riding the waves; as you sail and swashbuckle your way across the oceans, you'll discover one surprise after another, recording them all in your captain's logbook. 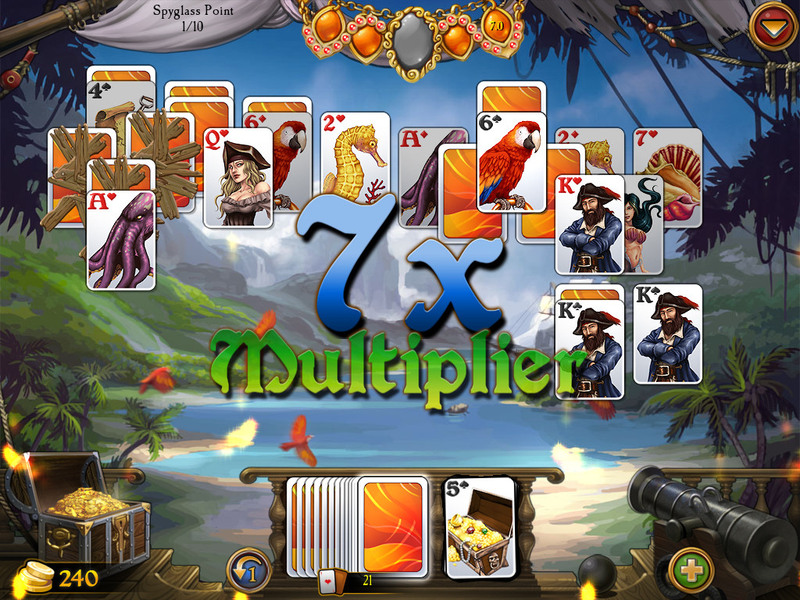 Between the addictive solitaire action and captivating twists in the plot, this is a game that's sure to keep you craving just one more level.